Hongshanhu Pharmaceutical Group has research centers in Beijing, Guangdong, Kunming, Liaoning where our four subsidiaries are located. These research centers include key research labs and innovative preparation research and development platform. Our research system covers lab research, pre-clinical trial and clinical trial research, registration and application. Meanwhile, we also built long-term cooperation relationships with several national key research labs and institutions. Our research is market demand oriented. We also put great efforts to explore innovative technologies. The field of our research covers Chinese medicine, chemical drugs, and healthcare products. In the Chinese medicine field, we focus on antanemic products, modern Chinese medicine, and classical Chinese medicine. Our chemical drug research covers several categories including central nerve, endocrine, cardiovascular system, vitamins and trace elements, antiviral drugs, and anti-infective treatments. We also cover the research of functional healthcare products, and nutritional and dietary supplements. Hongshanhu has invested great efforts in developing high-quality products with obvious advantages in treatment. With our efforts, Hongshanhu has developed a group of drug candidates, which are more effective for high incidence disease, in different research processes. After a decade of development, our research team has more than 50 high-end talents. These talented people and the advanced management system we established ensure that all our research moves forward smoothly. In 2017, we have invested more than ￥20 million( $ 3 million) in new products and technologies research and development. We planned to invest about ￥40 million($ 6 million) in R&D in 2018 to support our long-term development. The total area of our research labs is over 2000 square meters, including several functional departments in the fields of synthesis, analysis, preparation, clinic trial, and products registration. 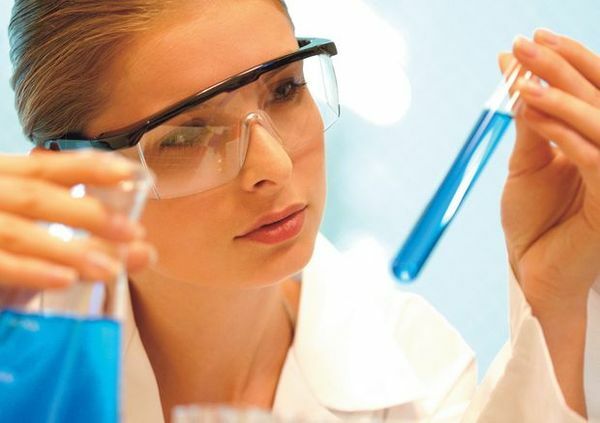 Pharmacy research department: our drug research department is mainly focusing on research in Active Pharmaceutical Ingredients synthesis technique, prescription and preparation technique, quality analysis, and quality standard setting. Our R&D Center has many high tech equipment, such as HPLC, GC, UV, atom absorb equipment, Automatic Potentiometric Titrator, Automatic Moisture Tester, Melting Point Apparatus, capacity medicament dissolve and infiltrate apparatus, temperature and humidity chamber, High-speed Tablet Press, three dimensional hybrid particles machine, oscillating granulator, high efficiency coating machine, medicine vacuum emulsification blender, spreader, splitting machine, and auto-die cutting machine. With the strong support from the equipment, Hongshanhu has developed a modern technology innovation platform. Together with the pilot plant we have established for trial production, Hongshanhu has the complete new drug research channel from lab research and experiment to standardized production. Clinical research: Our clinical research department is experienced in clinical trial design, data management, and statistical analysis. Our clinical research team has strong ability to organize large-scale, multi-center, and high-quality clinical research, and to provide professional and reliable support to the development and marketing of new drugs. Thus far, we have serval drug candidates have passed the phase III clinical trial process. We also have some other innovative drug candidates are in phase I and II clinical trial process. Thus far, Hongshanhu has applied for 15 patents, 7 of which are approved, and the rest are in the approval process.